Botanical Garden-Kalkaji Metro Line To Start From Next Week! Here’s some good news for people travelling from Noida to South Delhi! The Botanical Garden-Kalkaji line – Delhi’s first driverless line of metros will be kicking off from next week! 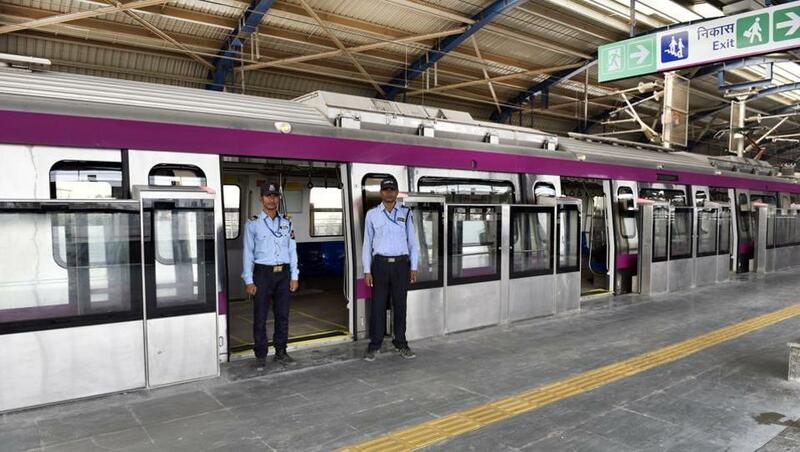 The line will be opening on Christmas after the PM inaugurates the swanky new line of DMRC. Which means that travelling from Noida to South Delhi will get cut by 45 minutes! Once the new corridor opens, commuters from Noida will able to travel to Gurgaon by changing trains at Hauz Khas. The commute from Noida and Faridabad will also become shorter. In fact, passengers between Noida and Faridabad will change trains at Kalkaji Mandir. This Shop In Old Delhi Offers Black Jalebis And They’re Delicious AF! 5 Reasons Why Your Pre-Christmas Festivities Will Never Be The Same Again!